We know that when it comes to litigating issues of family law, clients wish to put on the greatest case, as the stakes are personal and of great importance for the future. If you are similar to 99% of all clients who pay legal fees, you are interested in doing everything possible to keep your legal costs to a minimum. Here are a few things to consider in maximizing your case with your attorney without breaking the bank. When I say limit your communication, it is not meant for you to withhold questions and information from your attorney. Practice effective communication. For instance, when you send your Attorney upwards of seven (7) electronic mail messages followed up by phone calls in a day’s time, based upon the questions you may have about your case, you will be charged for reading each of those messages and the response to each of those messages. A more effective way to accomplish the same goal would be to wait until you have penned as many questions as you can and send them in one (1) correspondence. It saves the Attorney time and it saves you money. Also, calling your Attorney excessively will not increase their availability to you. They have a work stack that they are going through and calling frequently might not push you to the top of the pile. The best thing to do is leave a clear and specific message and await the Attorney to get back to you with a response. You may believe that once you have hired an Attorney, you can sit back and let the Attorney do all of the work. That is a mistake. If there is information available to you that is easily procured, then you should get it yourself. You will find that requesting your attorney to get information for you will cost more than double what you would expend by simply obtaining it for your attorney. Further, you should be honest and forthcoming with your Attorney in order to maximize your defense for any potentially adverse issues which need to be minimized for Court. Some adverse issues might not be as big of a deal as you believe them to be. Others, might be a serious problem for which your Attorney will need time to mount an effective defense. Either way, it is better to give your Attorney too much information than for them to be blindsided in Court just because you falsely believed the information wasn’t important. For example, you are terrified that your soon to be former spouse will use your arrest record against you during a custody battle. You cross your fingers in hopes that her Attorney will not be successful in finding the information and you conveniently fail to convey this information to your own Attorney. You go to court and the opposing counsel was fortunate enough to find your extensive arrest record and proceeds to explain to the Court how irresponsible you are because you cannot keep yourself out of trouble. Your Attorney is at a loss for words and might not be able to make the best argument to address this information in Court since it was not conveyed to the Attorney in the first place. If the arrests happened over ten years ago, then they might not be a big deal but if they are more recent, then you must convey this to your attorney. If you had been forthcoming, then your Attorney could a plausible explanation or defense to the Court which might not prevent you obtaining joint custody. Being forthright with your attorney can save you money, but most importantly, this might allow you to obtain much better results. In Family Law, the outcome affects you and your family’s future, so you want to be as thorough as possible in your claims. However, you should understand the more issues you wish for your Attorney to cover in Court, the more it will cost to prove or disprove the issues. For instance, if you are aware that you are working on a shoestring budget for litigation, you should not be requesting your Attorney subpoena your spouse’s employment records for the past ten (10) years ago to prove that you were lied to about bonuses back then. This might be a huge waste of money and even worse, might not help you in Court. Listen to your attorney. Do not send your Attorney on an emotional witch hunt for skeletons in your spouse’s closet that are not going to help your case. 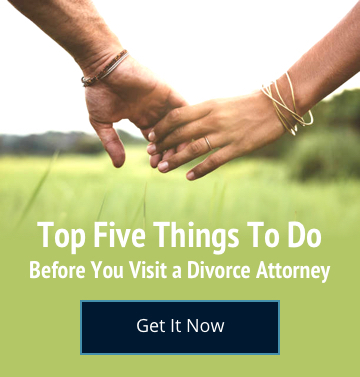 Instead, insist that your Attorney’s time and your money is spent focusing on the issues that are material to custody, division of community property and support.